The Cacophony of Moths is a photograph of Musicians on a blue background. 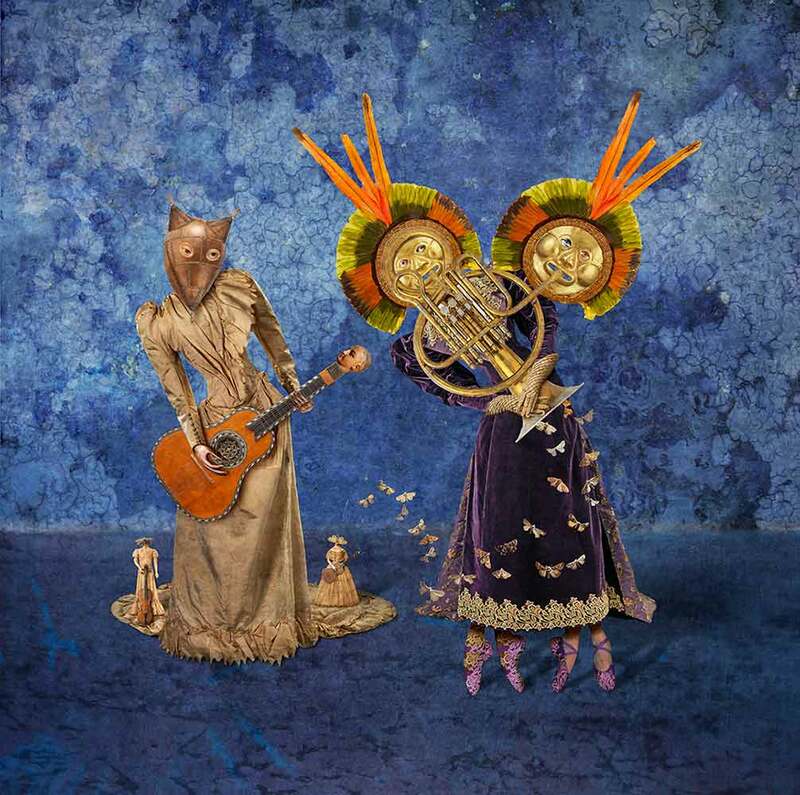 One has a copper head and hands and plays the classical guitar, she wears a beautiful gown and standing on her trail are two tiny musicians. The other musician has two heads and plays the horn which has a multitude of moths issuing from it hence the title Cacophony of Moths.